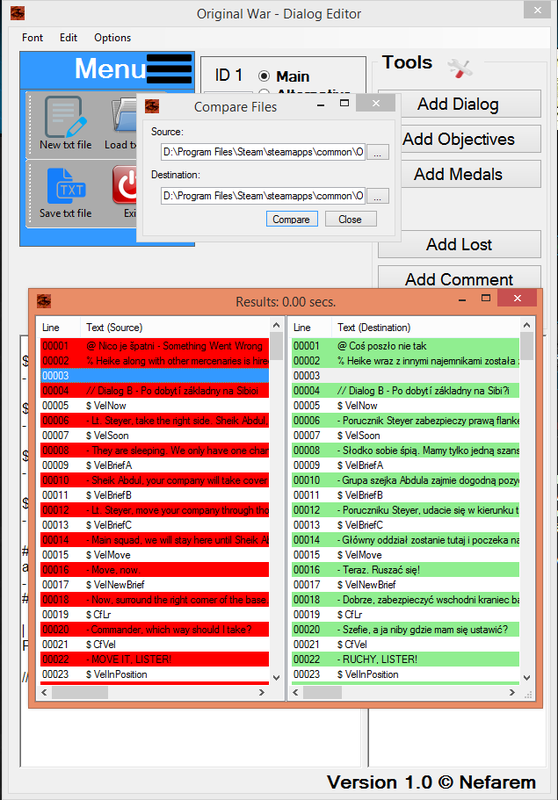 A program easier the creation of *.WRI files with dialogues, mission objectives, medals, text of defeat, as well as the possibility of comparing two text files especially helpful for translators. 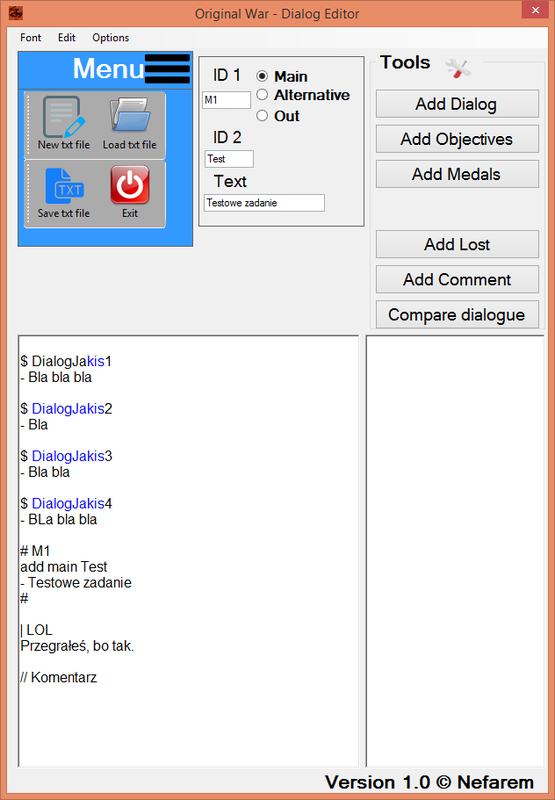 A program that easier the creation of *.WRI files with dialogues, mission objectives, etc. to Original War. A guide to the Original War map editor written in Czech. It details the old version of the editor, before the changes introduced by Original War Support. The resolution changer allows the OW map editor to run without forcing the system into 16 bit colour mode. A helper program for the OW map editor. A listing of all constants in the SAIL map scripting language. Taken from the OW Support forum. A list of constant values in SAIL. Found on the OW Support forums, written for the updated editor. A short guide to SAIL. A listing of a number of SAIL scripting functions. Found on the OW Support forums, written for the updated editor. Some portions of the guide are in Czech. As a respons to requests from translators on the Arabian Campaign project I've written a little program which can compare .wri files which contains the dialogue definitions, mission objetive definitions etc. for a mission. In this way you can make sure that your translated .wri contains all the elements the original .wri does. Enable in Visual Studio Code extensions.